The name "Cinque Terre" dates back to before the fifteenth century but the story of the coast on which the small towns are located dates far back. The historic remains founded here, such as bones and primitive tools found, prove the presence of the primitive individuals. The ancient Romans occupied this zone by taking it with great complication from the Ligurian inhabitants. Harsh conflicts on a hostile war round that was a tempting conquest for who aspired to tactical points on the Mediterranean Sea. In fact, because of its strategic position on the Mediterranean Sea for centuries went through the anger of ruthless populations of diverse empires. Even earlier, this maritime centre had been besieged by the barbaric tribes coming from the north of Europe, then by Byzantines, by Lombards. Also its tactical location for business and soldierly interests, the residents from the Valley of Vara began to settle on the coast and change this area naturally wild and hostile to man. The first villages next to the sea were formed. The origin of this village dates back to the Roman times. The oldest core, formed on the hill of S. Cristoforo, began to play a significant role of protection in the 7th century, during the Longobard attacks. In the Middle Age, the zone was disputed by various noble families, but it was at last ruled by the Republic of Genoa. The village is spread over two bays, in that of the Bruanco River, to the East, there is the historical core (the old town), while the settlement situated in the inlet of Fegina, to the West, has developed more recently (the railway station is found here). Its origin dates back to the Roman age, but until the year 1000 B.C. due to security reasons the population lived more inland, on the heights of Reggio. During the Middle Age Vernazza was an important harbour ruled by the families of Da Passano, Ponzò and Fieschi, until it was finally owned by Republic of Genoa starting from 1276. 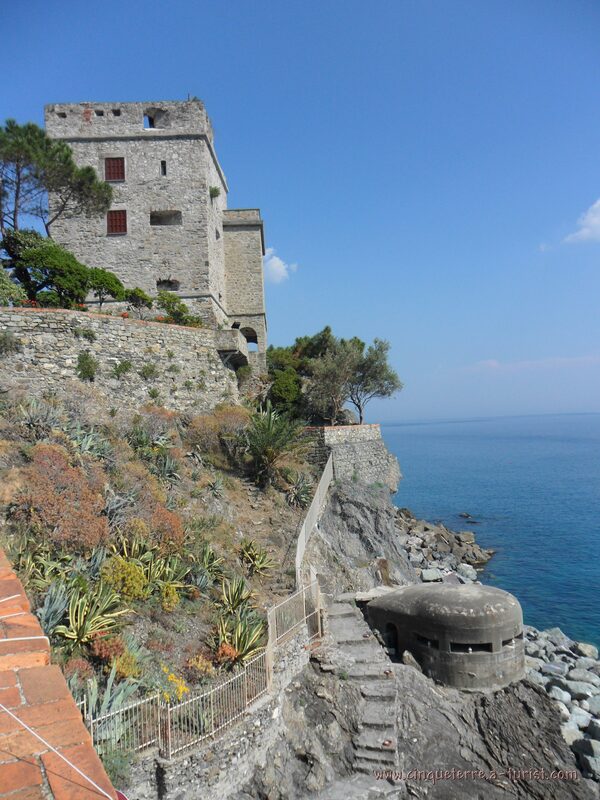 The importance of Vernazza in the history of Liguria is highlighted by its urban arrangement. Typical tower-shaped houses extend along a river valley up on the summit of a rocky outcrop hiding the view of the village core to anyone approaching from the sea. In addition, more refined architecture is also present, such as loggias, porticoes and decorated portals. The derivation of the town dates back to the Roman Age as shown by the name which finds its roots in Gens Cornelia, the Roman family to whom the land belonged. In the Middle Ages it was a possession of the counts of Lavagna, the lords of Carpena and of Luni. In 1254 Pope Innocent IV gave it to Nicolò Fieschi, who held it until 1276, when the village was obtained by the Republic of Genoa.